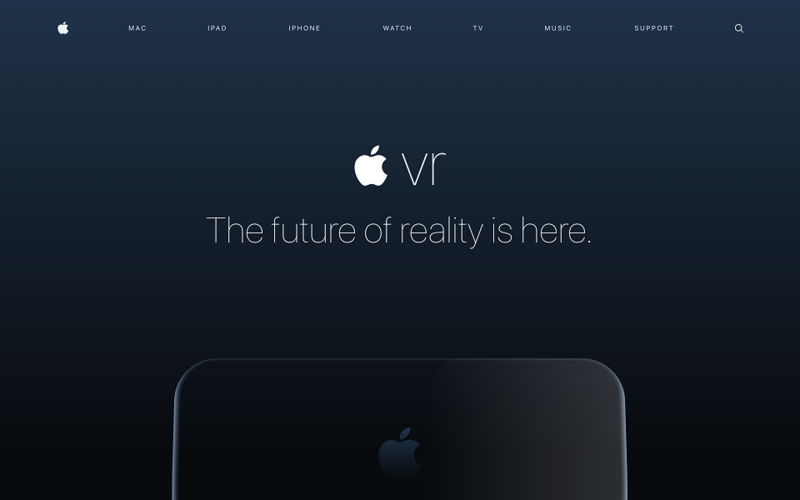 Road To VR – According to a report by CNET, citing an anonymous “person familiar with Apple’s plans,” the company is working on an AR/VR headset targeting 8K resolution per-eye, scheduled for launch in 2020. As Apple continues to hire, file patents, and buy up companies relating to AR and VR, rumours swirl about what the company might be working on. With similarities to a Bloomberg report late last year, a report today from CNET says that Apple is working on a headset with both AR and VR capabilities that the company hopes to launch in 2020. The device, purportedly codenamed T288, is said to be targeting 8K resolution per-eye, and be powered by a dedicated host device with a custom Apple chip, and would transmit information wirelessly to the headset over a 60GHz connection. The report also indicates inside-out tracking for the headset rather than external trackers. As for the reliability of this information, it’s hard to gauge. I’m surprised to hear a codename mentioned, as secretive Apple projects have been known to use multiple codenames across compartmentalized groups as a means of rooting out leakers. It’s also surprising how closely this latest report mirrors the prior Bloomberg report, including the codename and purported 2020 launch window—the anonymous source could be the same individual. If this information is indeed authentic, I suspect it’s coming from someone outside of Apple, possibly a supplier or contractor, who may be extrapolating some information. For Apple’s part, the company has been silent on plans for its own AR/VR hardware, but publicly embraced VR last year when it made a number of announcements about how the Apple ecosystem would support VR, like support for SteamVR and the HTC Vive. On the AR front, Apple has made a strong push for the technology through its existing devices, rolling out its ‘ARKit’ tracking technology to support phone-based AR experiences on hundreds of millions of iOS devices.